Professor Billie Giles-Corti is a Distinguished Professor at RMIT University and Director of its Urban Futures Enabling Capability Platform. 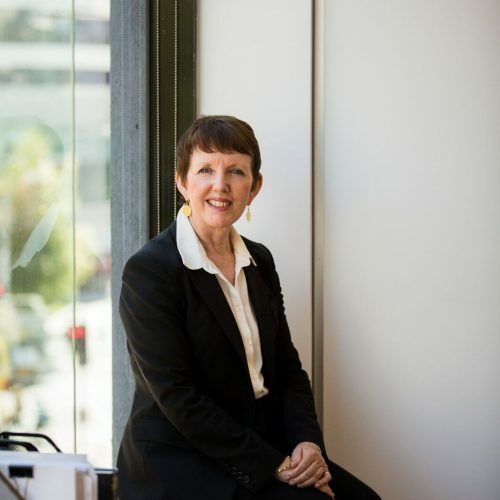 She is a National Health and Medical Research Council (NHMRC) Senior Principal Research Fellow and directs the Centre for Urban Research’s Healthy Liveable Cities Research Group at RMIT’s Centre for Urban Research. Prior to joining RMIT in 2017, she was a Redmond Barry Distinguished Professor at the University of Melbourne and Director of the McCaughey VicHealth Community Wellbeing Unit. For over two decades, Billie and a multi-disciplinary research team have been studying the impact of the built environment on health and wellbeing. She currently leads an NHMRC Centre of Research Excellence in Healthy Liveable Communities established in 2014; which works closely with local, national and global policy-makers and practitioners. She is a Chief Investigator on the NHMRC Australian Prevention Partnership Centre, responsible for working with sectors outside of health; and leads a National Liveability Study funded by TAPPC. She is also the Liveability Lead for The Clean Air and Urban Landscapes Hub, which is supported through funding from the Australian Government’s National Environmental Science Programme and her team is currently mapping policy-relevant urban liveability indicators across all Australian capital cities. She has published over 300 articles, book chapters and reports, and by citations, is ranked in the top 1% of researchers in her field globally. She is an Honorary Fellow of both the Planning Institute of Australia and the Public Health Association, a Fulbright Scholar and in 2016, was awarded an NHMRC Elizabeth Blackburn Fellowship as the top ranked female fellow in public health in 2015. She is a member of the Victorian Office of the Government Architect Design Review Panel; and from 2003-2016 was a member of the Heart Foundation’s National Physical Activity Committee (Chair 2007-2009). She is on the Editorial Boards of Social Science and Medicine and Social Science and Medicine – Population Health; and a Guest Editor for Preventive Medicine’s special issue entitled ‘Promoting Physical Activity in Public Spaces to Advance a Culture of Health’ 2015-2017 and the Journal of Transport and Health for special entitled ‘The Built Environment and Health’ (2015-2016). She regularly serves on NHMRC Grant Review Panels including the Career Development Award Panel (2017); and the ECR Panel (2011-2010, 2014-2016 (Chair 2016)); and is a grant reviewer for the Australian Research Council. The ARC-funded The High Life study.